The UNT Digital Retailing program will again be offering the opportunity for students to take the Digital Study Tour course in May, 2019. Launched in May, 2017 as a faculty-led, for credit study tour, the course was repeated during the Maymester in 2018. It is designed to give students hands-on exposure to high impact online businesses in the Digital Retailing industry and engage them in an intense study inside the companies. 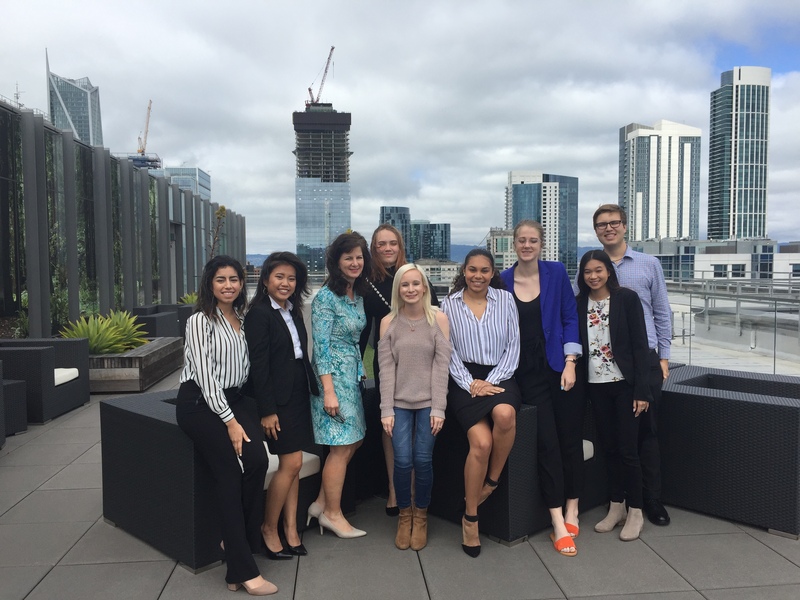 In May 2019, participants begin their itinerary in Seattle, then traveled south to the Silicon Valley in San Francisco, which are prime locations for pursuing a career in eCommerce and digital occupations. Students who travel along benefit from an exclusive behind the scenes viewpoint, meeting with industry executives and experiencing firsthand how websites are built and maintained as well as how the supporting technologies are integrated and utilized. During this fast-paced 5 day living and learning experience, students tour corporate headquarters facilities of marquis retailers and social commerce giants while also experiencing the sights, sounds and tastes of the U.S. West coast. The 2019 Digital Study Tour will visit corporate partners Williams Sonoma, Amazon, Zulily, Google, Facebook, Walmart.com and Macys.com. Appplications are closed.